SCS3 - The Mystical Experiences - St. Catherine of Siena with Fr. Thomas McDermott O.P. In this episode, Fr. 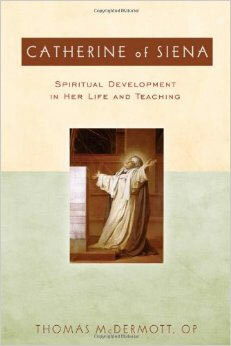 McDermott discusses the experience of St. Catherine’s “Mystical Espousal” and it’s spiritual relevance. The virtues are discussed as central to St. Catherine’s teachings and the importance of properly understanding their value in our lives. The response to the needs of one’s neighbor is emphasized. In particular, the special interaction with Andrea, the woman with cancer, is presented as an extraordinary moment of grace which aided in St. Catherine’s spiritual maturity and growth in holiness. Fr. McDermott addresses the contemporary “controversy” over the actions taken in this particular experience. The other experiences of the summer 1380, the exchange of hearts the mystical death are discussed, as well as, the saint’s invisible stigmata.